Cait's Cozy Corner : DIY No Sew Pom Poms! 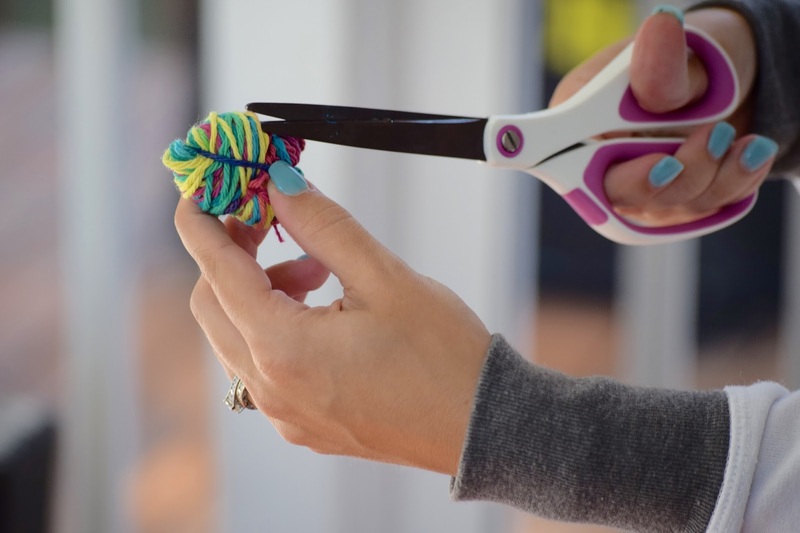 DIY No Sew Pom Poms! When I was a child, I used to make wishes in wishing wells. What was the one thing I always wished for? A cat. That may sound silly to some families who come from pet friendly households but I was never allowed my own pet until, gasp, college! My boyfriend at the time ( now husband ) bought me my first cat for our two year anniversary and there were several tears of joy and disbelief that I had my own cat. Fast forward 8 years later, two kids and one other cat and here we are! 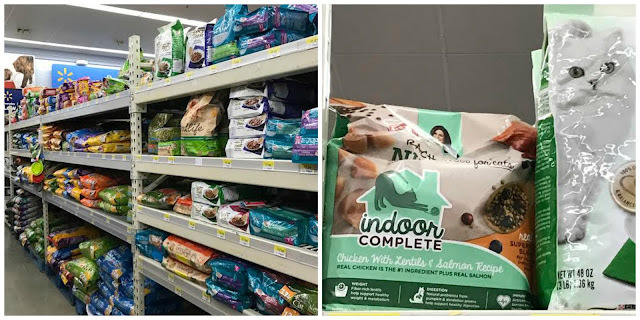 Of course with two kids and another cat added to the mix, we are certainly busy but that doesn't mean I'm too busy to feed both cats the best food I can find. 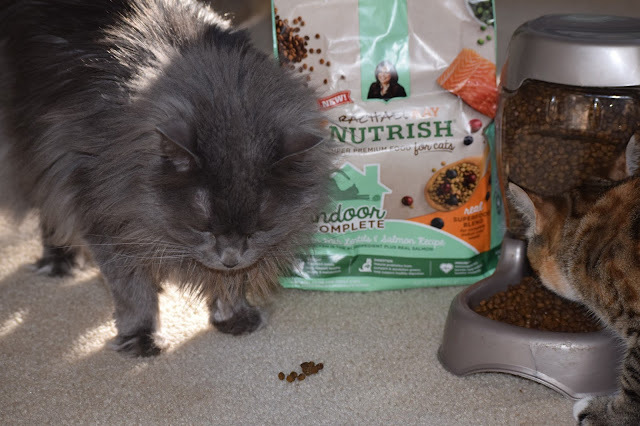 That's why I feed them Rachael Ray™ Nutrish® Indoor Complete Cat Food. Nurtrish Indoor complete contains a real superfood blend to meet the complete need of your indoor cat. It's made with real U.S. farm-raised chicken and is always the #1 ingredient for over one year old cats, plus real salmon. It also helps address your indoor cats concerns like weight and indigestion. 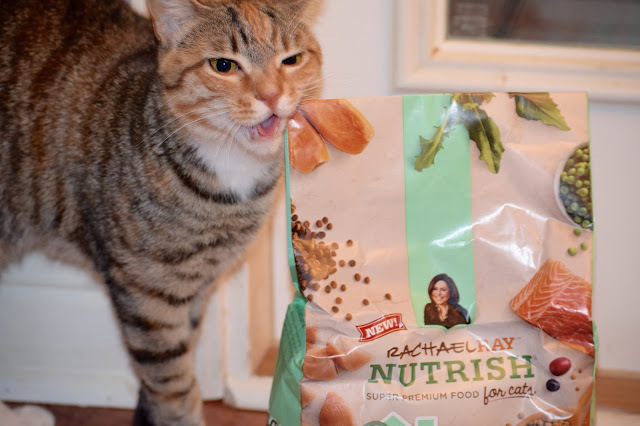 You can also save $2 off Rachael Ray Nutrish Indoor Premium Food for Cats. The coupon is good until the end of the year and you can print at least two! 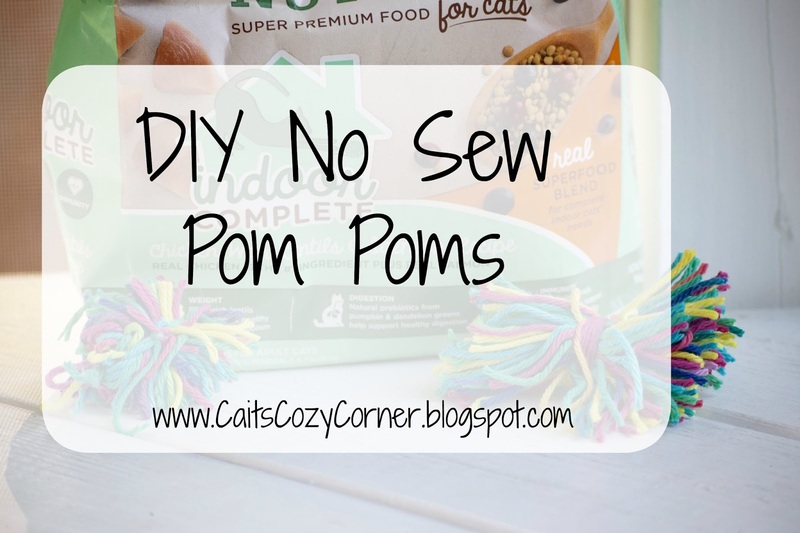 When I'm not feeding my furry friends delicious food, I want to make sure they are entertained while I'm chasing their human siblings around or at work so I made them these simple no sew pom poms to play with! 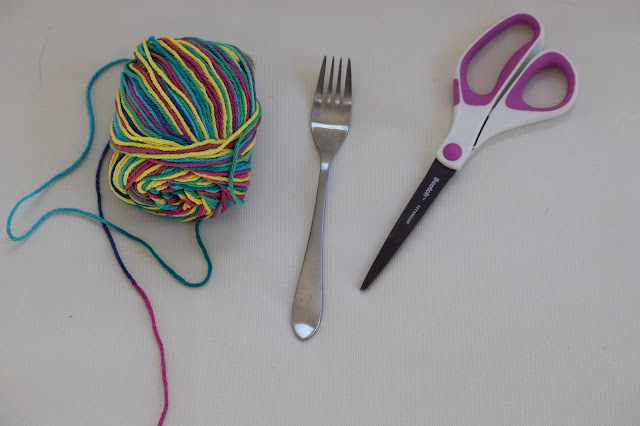 Here's how I created these easy toys! 2. 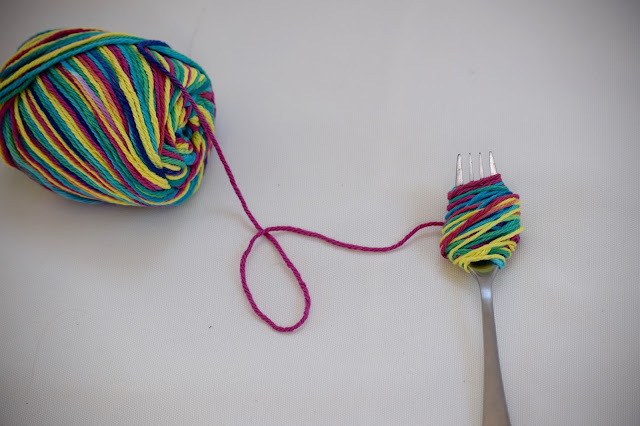 Tie across all threads down the middle between the fork tines. 4. Trim the strings so they are even. 5. 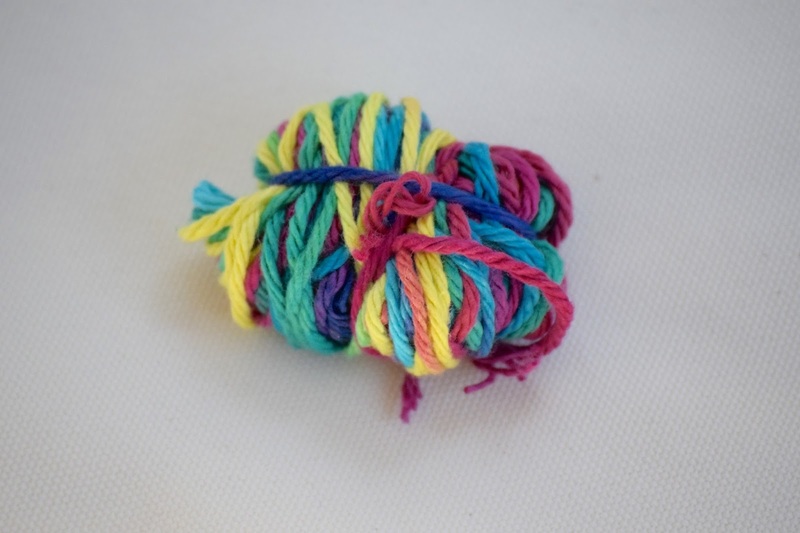 Your cats will love playing these easy toys all day! 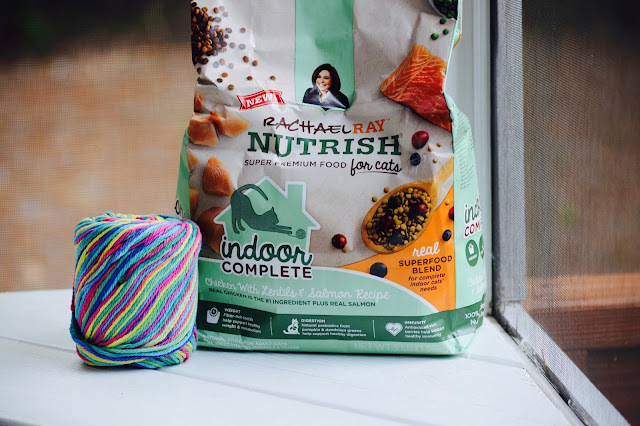 If you're in the market for a great indoor cat food for your pets, you'll want to try Rachael Ray's Nutrish Indoor Cat Complete. Want to know another reason why I love Rachael? Her work with Rachael's Rescue. Rachael’s Rescue® was created for all of the forgotten pets – the ones who might not have someone who loves them as much as they deserve. 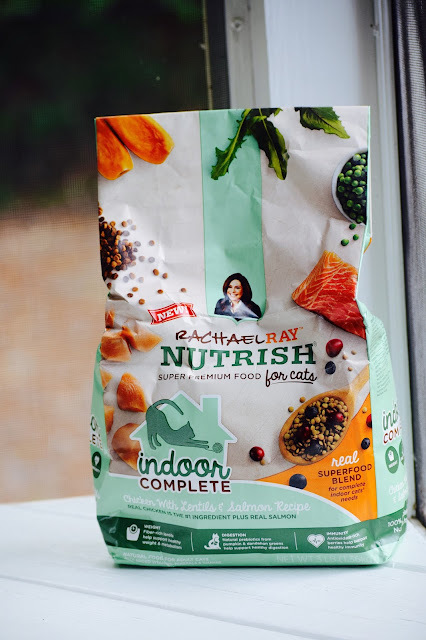 A portion of proceeds from each sale of Nutrish is donated to The Rachael Ray Foundation, which helps animals in need through Rachael’s Rescue. Through December 2016, Rachael’s Rescue has donated more than $17.5 million dollars to pet charities and other organizations that do good for animals. The funds are used for food, medical supplies, treatments, and more for animals in need. Many more animals around the country need help, and through Rachael’s Rescue, together we can make a difference in the lives of many four-legged friends! Because Ellie was a rescue cat, this holds near and dear to my heart. 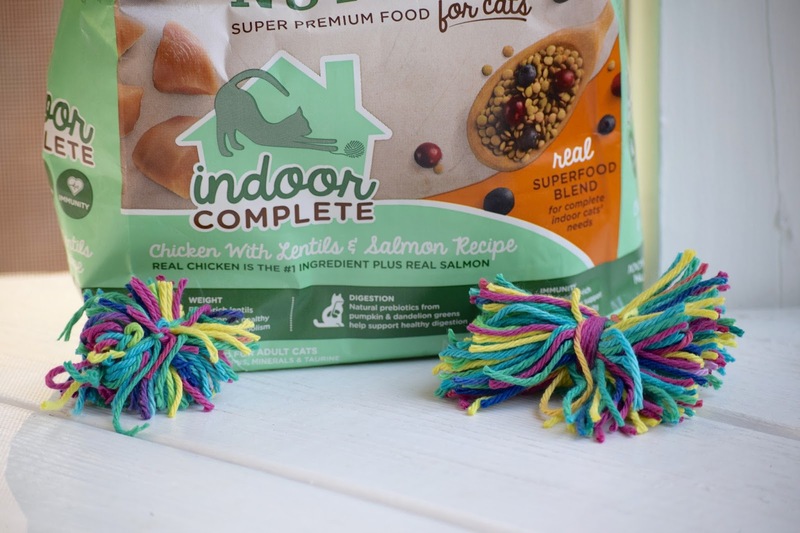 Grab your favorite cat food for your furry pets today and don't forget to make those easy no sew pom poms for them to enjoy as well! How do you entertain your cats when you're gone?